Lyme disease and ME patients often live in a parallel universe. There are so many overlaps between the two conditions. How many ME patients have Lyme disease? How many of the associated co-infections and viruses which can overwhelm Lyme disease patients’ immune systems also affect ME patients? Are we one and the same? Will any research that improves outcome for ME patients also help Lyme disease patients and vice versa? The Unrest team is attempting to bridge the gap and open a conversation with a variety of chronic illness communities through the medium of this inspirational, award winning cinema documentary. An estimated quarter of a million people in the UK live with Myalgic Encephalomyelitis (ME), also known as Chronic Fatigue Syndrome. Despite its often devastating impact, they often struggle with stigma, as well as lack of access to appropriate care. 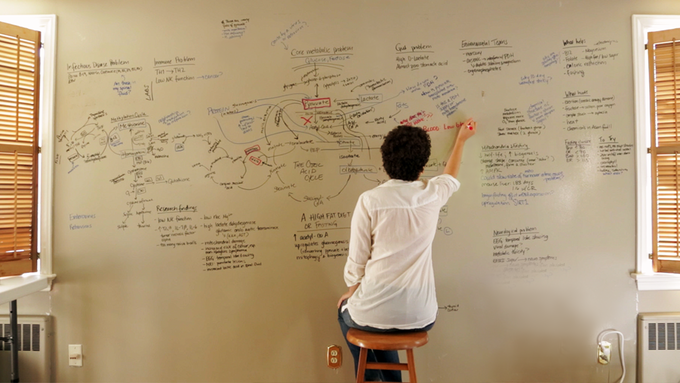 Although Unrest was written by an ME sufferer, the aim of the documentary is to highlight the experiences of so many people suffering from different chronic, “hidden” diseases that remain poorly understood, both by the medical community and wider society. This film aims to explore and expose the stigma surrounding ME. Lyme disease sufferers will undoubtedly recognise the similarities and crossovers instantaneously as we face similar obstacles in our community. Jennifer Brea was working on her PhD at Harvard and about to marry when she suffered a series of sudden viral infections that left her incapacitated. After the initial high fever, she developed many baffling symptoms including crippling exhaustion, hypersensitivity to sound, burning sensations and many more. She saw every kind of specialist: infectious disease doctors, rheumatologists, cardiologists, endocrinologists, even a psychiatrist, who told her “It’s clear you’re really sick, but not with anything psychiatric. I hope they can find out what’s wrong with you”. Bedbound, often in excruciating pain, and frustrated that medicine seemed to have little to offer, Brea began looking for answers. As part of her journey, Jennifer was invited to give a very enlightening TED talk, ‘What Happens When you Have a Disease Doctors Can’t Diagnose.’ Then, turning a camera on herself and others with ME, she discovered a hidden world of millions confined to their homes and bedrooms. Her video diary became the feature documentary Unrest, which is being released in UK cinemas this month. It premiered at the 2017 Sundance Film Festival where it received the Special Jury Award for editing. In the UK, it won the Illuminate Award in partnership with Wellcome at Sheffield Doc/Fest 2017. Many of the people Brea connected with were isolated without access to treatment or care, and often disbelieved. They include 23-year old Jessica Taylor from Kent who has been bedridden since she was 15; Karina Hansen who was forcibly institutionalised and denied contact with her parents because doctors in Denmark consider ME to be psychosomatic; and Ron Davis, a Stanford Professor of Genetics who embarks on a mission to find a cure for his son. Lyme Disease UK has been approached by the Unrest team to collaborate in helping to promote the film in the UK. Although primarily about ME, Unrest shines a light on what it is like to live with a chronic, misunderstood illness and as viewers will see, the symptoms are almost identical to Lyme disease. This film provides a tool to share what daily life can be like for those suffering with similar conditions and highlights the need for chronic illness communities to join together to push for groundbreaking research which may help us all. The film aims to change the way people think about chronic illness and to educate more people about the challenges faced by patients dealing with healthcare systems which are unable to provide adequate help. LDUK spokesperson and talented musician, Ren Gill, is featured in Unrest and his music is also used in the film. “Before being diagnosed with ME, I spent 7 years bouncing from doctor to doctor, the first diagnosis was bipolar, and years later I was labelled as having ME before a doctor found antibodies to the Lyme bacteria in my blood. The truth is, in all the diagnoses and labels I have been given, there is no clear-cut treatment, and there is still so much to be done in terms of research and public understanding. 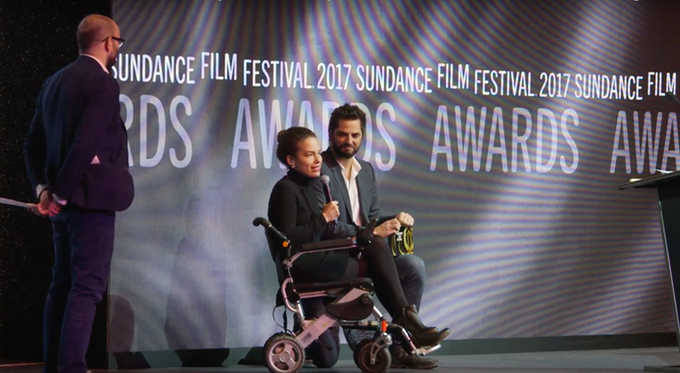 Unrest is a feat of disability filmmaking – when shooting began Brea was confined to her bed 99% of the time. By conducting interviews via Skype and an iPad teleprompter, she was able to see in real time what her team of film-makers was shooting on the ground. In other words, she directed the film from her bed. The film will have its UK theatrical release on October 20th in London and cities nationwide, followed by a Q&A tour with Jennifer Brea. Our #TimeforUnrest campaign has officially launched. This official launch means that the www.timeforunrest.org webpage is now live, with action and advocacy opportunities, including petitions, pledges for medical professionals, screening resources and more. The Unrest Team needs YOUR help to take over social media with our #TimeforUnrest hashtag and why it’s #TimeforUnrest! Visit Unrest’s social press kit, where you will find sample Facebook, Twitter and Instagram posts. All you have to do is press “post to timeline” or “tweet” – you can also personalise the posts! Share your story! On the Unrest social press kit you will find a download link to a prompt that says It’s #TimeforUnrest because… Share your story and/or why it’s time for unrest. Nothing has more power to change hearts and minds than a personal appeal. Encourage your friends and family to do the same! Encourage your friends, family and colleagues to see Unrest in cinemas in the UK from Friday 20th October! If they don’t live in one of our theatrical cities, encourage them to attend a community screening or host their own! All screenings are listed on Unrest’s showtimes page. And don’t forget to include the #TimeforUnrest hashtag on all posts! Together, we can take the internet by storm to tell the world why it’s TIME FOR UNREST!